K-os spent several years promising his delayed 2013 double-album BLack on BLonde. Here's hoping that the same thing doesn't happen with his next record, since the Canadian rapper has signed a deal with Dine Alone Records. His next LP is called Can't Fly Without Gravity, and it's slated to come out in 2015. While that's still a long time to wait, he has unveiled a new single called "WiLD4TheNight (EgoLand)" in the meantime. The single will officially drop on July 29, and the spooky-riffed rap cut can be heard below. 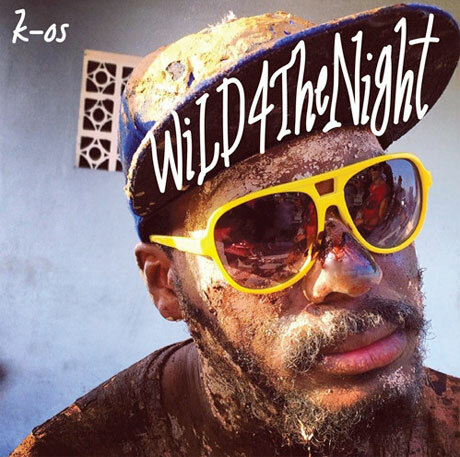 The song was inspired by a trip to Trinidad, the Caribbean island where K-os lived for three years while growing up. "My Canadian accent set me apart from kids there — they used to say 'Yankee go home' and stuff like that," he said in a statement. "I didn't fit in, but going back opened up a well of passion." I am rather stoked to be welcoming my bud K-os to the global roster at Dine Alone Records. We have been shooting the breeze for years, so it's about time we made it official. K-os has been a leader in whatever genre he decides he wants to be in, just as Dine Alone has had great success with multiple genres. Our enthusiasm for pushing boundaries in a do it yourself culture is what brought us together. His vision is prolific and his music stands the test of time. Dine Alone is humbled to have such a talent like K-os working with us on a global level. K-os has live shows coming up at Toronto's Festival of Beer (July 25 to 27) and Wolfe Island Music Festival (August 8 and 9).